Magazine Buddy began go out in summer 2007, No.1 special Vietnam go out 15. July 2007. Since coming - out regularly like bimonthlys, with minimum number as regards to the 14. numbers 96, from No.15 with minimum number 84 as regards on lustrous chalk paper. Two - time was already supplement magazine DVD with movies: VALDEZ - paradise whales and Azores - world subaqueous. In the year 2010 is supplement magazine present in every issue for subscriber. Inside is magazine intent on traveller, lovers nature and water and submarine fauna, aquatics, especially then diving. Materials for publication in Buddy supply panel, as is MUDr. LUDEK SEFC, RNDr. Peter AC PHD, doc. RNDR. ZDENEK KUKAL, DRSC., Ing. Paul Gross, Ing. Peter Katz, MUDr. Vilma VANUROVA, MUDr. Peter Wagner, MUDr. Francis NOVOMESKY, Ing. Michal Piskula, Tomas Sladek, photographers: Tom Kotouc, Martin STRMISKA, Peter Štolz, Andrey NEKRASOV, Alexander Dlouhy, etc. 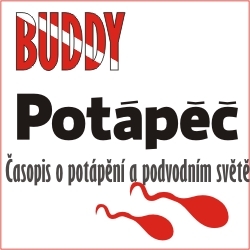 In Buddy regularly detect information on interesting world's localities and exclusive location. 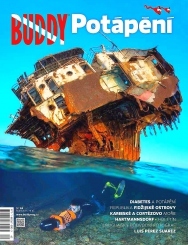 Some way materials in Bohemia till this time go wrong, wasn't publicize, about some diver's sites Buddy allude first printed periodical in CR at all. 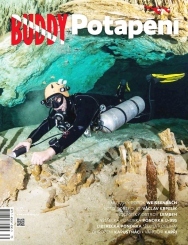 Publish materials only else unpublished, original and assumed from external partners, like were to be articles about diving in Peru, Vietnam, Venezuela, Himalaya, Jordan, Cayman islands, diving with Russian military, etd. Buddy disposed in last year's summer action for his reader and customer on locality RUMCHALPA with title „ heavy fair weather with Buddy" (projection, lecture, contests, grilled, guitar, presentation, etc.). Buddy is as well present hereafter new diver's magazine DIVE TIME.